Aqua Hot Tubs can provide or arrange all the services you require. Start with a free site survey to help plan the purchase, delivery and installation. From there we can help you with any additional services such as a base or electrics needed to get your hot tub or spa up and running. We can carry out routine servicing or any repairs to ensure ongoing operation. See below for more details on every aspect of our services. – Which Hot Tub or Spa model would best suit your requirements. 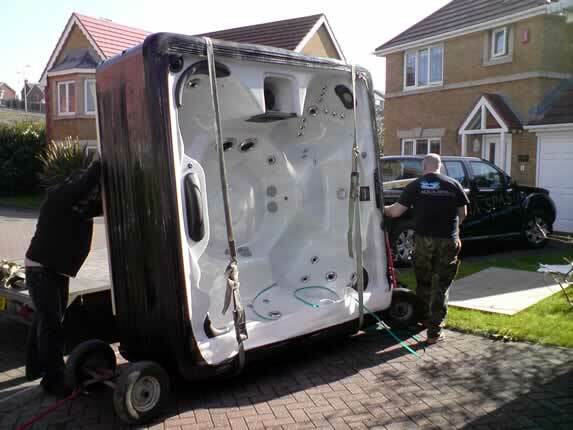 – How to deliver your Hot Tub into your garden or building. – Electrical requirements for Hot Tubs and Swim Spas. 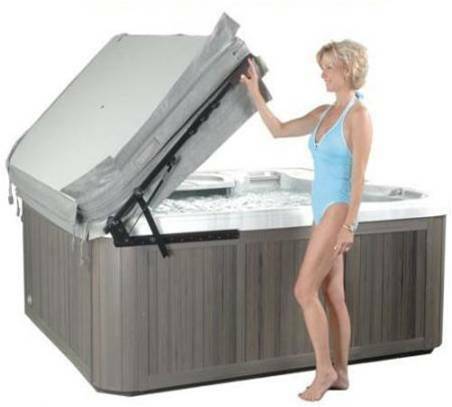 – The best position to place your Hot Tub or Swim Spa. – Base Preparation for Hot Tubs and Swim Spas. – Finance on your hot tub, with 0% APR on many Hot Tubs and Swim Spas. Every hot tub is portable and totally self-contained, with no special plumbing or drainage needed. All that’s required is a flat, level surface, such as a patio or deck, which can support up to 2000 Kg. It’s up to you where to place your spa, taking into consideration privacy and access. A licensed electrician can connect the wiring to a 20 or 32 amp circuit. Then fill your spa using a simple garden hose, add the chemicals, and you’re ready to enjoy the pleasure of your spa within hours. 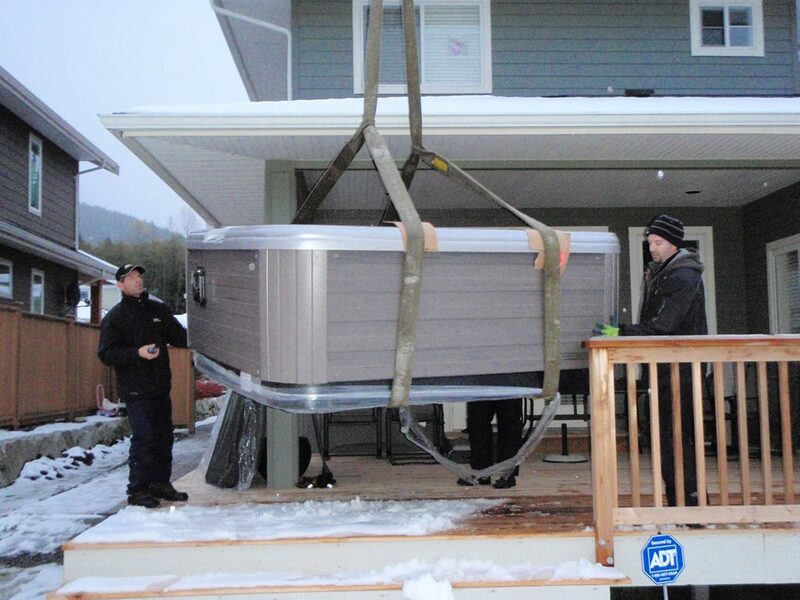 Aqua Hot Tubs use a special spa trailer, ideal for the transportation of Hot Tubs. Moving house? Purchased a hot tub from E-bay? Bought online or bought a hot tub from a retail outlet? Then why not let Hot Tub Response take the hassle out of moving your Hot Tub? Your Spa has been engineered for installation on any firm and level surface. An unlevel base will cause your new spa to run incorrectly and lose a lot of water. The base must be strong enough to take the weight of the hot tub (around 1500kg), and allow for water weathering and runoff. A Concrete slab is the best for long-term use but other solid foundations are acceptable, such as pea gravel and crushed rock. Overlay the foundation with paving slabs, stepping stones, wooden decking or AstroTurf. Keep in mind that placing the spa on grass or dirt may increase the amount of debris that is inadvertently brought into the spa water on users’ feet. If you want your hot tub or swim spa to be sunken the consideration must be given to drainage and maintenance. Aqua Hot Tubs can provide further advice to help you achieve that perfect spa setting. If indoors, such as a Summerhouse, Conservatory or in a special room in the house then wooden flooring or floor tiling is recommended and a long hose can be provided to allow the Hot Tub or Spa to be drained. Aqua Hot Tubs are available to assist and cover during your free survey and we can recommend companies that specialise in laying the foundations and preferred surfaces. If you have an area already in mind, such as an existing Patio, Aqua Hot Tubs will check the surface is level in advance of delivery and installation. Single Pump Hot Tubs (known as Plug and Play) come pre-wired to plug into a standard 16amp socket. But a qualified electrician is needed to provide a suitable electrical supply taken from a dedicated RCD in your fuse board. Our 2 pump tubs require a 20 amp feed and our 3 pump tubs will need a 32amp feed. Our heating elements are rated at 3kW. Aqua Hot Tubs will advise during your free survey and recommend electricians. Aqua Hot Tubs offer a Servicing option to thoroughly inspect, clean and sanitise your Hot Tub. Remember early detection of problems can prevent more considerable problems in the future. Servicing or discounts on Servicing are included in the Maintenance Plans. Whether you have problems with heater and elements, pumps, jets control packs or water chemistry we can assist you. Repair charges start at just £85 per hour plus costs of any replacement parts. And we are always at the end of the phone for advice. Aqua Hot Tubs supply bespoke covers for many makes, shapes and styles of Hot Tub and Swim Spas.